Twin Tuner: Can not decide which show to record? Now there is no need to choose between two shows. You can record both simultaneously. With a whopping 500GB capacity hard drive of up to 125 hours of HD and 300 hours of standard definition programming. Time Shift Recording: You will have to check the time. Play your show while it’s being recorded, pause and resume when you are ready. Or watch your favorite scenes again and again, and to store items you do not want. HUMAX TV Portal, Access popular online content from the comfort of your living room., The Humax TV Portal is your gateway to a host of additional catch-up and on-demand services. 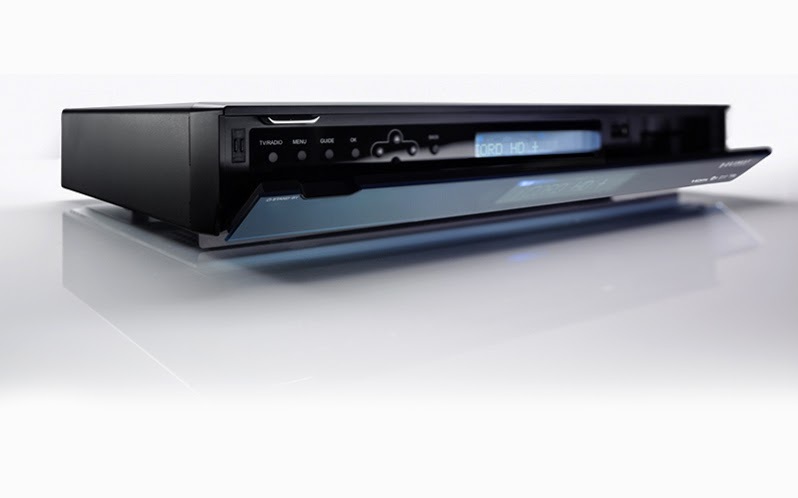 Simply connect the receiver to your home network via Ethernet cable, powerline adapters or a Humax wireless dongle to access a wide range of services, including YouTube and Internet Radio. Additional services are planned for the near future. Because our receiver can access USB drive, you can watch and listen to all of your videos, photos and music from one place. CI / CI +: Access encrpted programming such as pay-TV or pay-radio with the smart card. HDMI output, simply connect the cable HDMI (HDMI) on any HD source and enjoy the optimized graphics and sounds every time. HUMAX Auto Search Antenna, do not worry about your satellite connection. The receiver detects satellites automatically and searches faster using the HUMAX engine.